Let's start the new year right, with a new California Pizza Kitchen! The popular eatery is unveiling not only a new menu but a whole new look. CPK's across the country will be gradually rolling out their "Next Chapter" menu featuring fresh seasonal ingredients, inventive main plates, hand-crafted cocktails and customizable lunch duos. In addition the new décor will include a more modern but rustic look, sustainable materials and fabrics made from recycled materials and a natural herb garden. 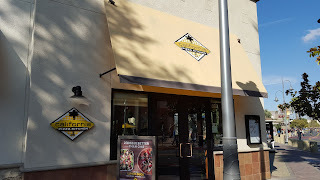 I was invited to check out the new menu at their Temecula location, one of the first locations to offer the new menu items. Unfortunatly this particular location has not received the new décor makeover but I was told that it should be happening sometime early this year. 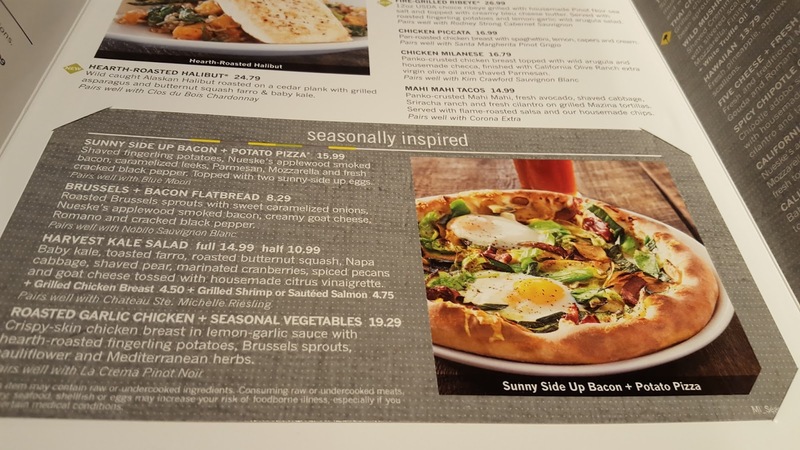 Here are a couple of sneak peeks of what CPK has in store for their customers. I love it! Now for the real reason you are all still reading, the food. Here are a couple of photos of some of the new items on the menu. You can check out the entire Next Chapter Menu here. I decided to bring along my mom and daughter to enjoy a nice weekend lunch. As usual the place was lively and packed. After perusing the new cocktail offerings we decided on a Coconut Blossom and a California Roots. 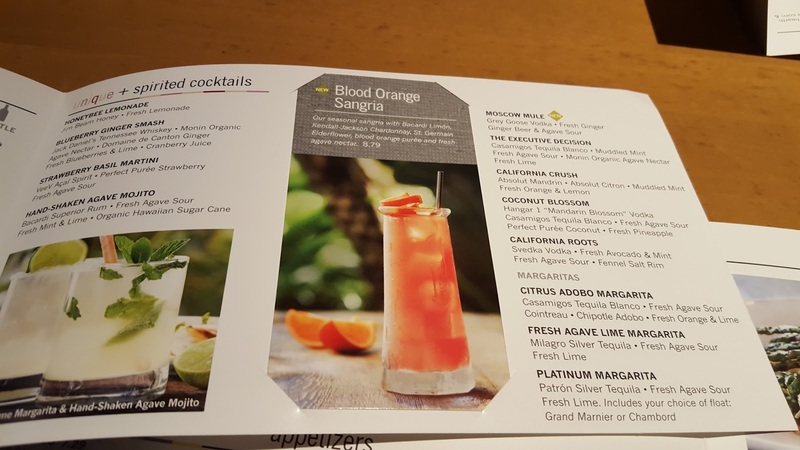 My daughter had one of their new kid friendly options, the Fresh Strawberry Mango Cooler. All of the beverages were amazing! The Coconut Blossom is a combination of vodka, tequila, fresh agave sour, coconut puree and fresh pineapple. It is tropical, sweet but not to sweet, and so tasty. The California Roots consisted of vodka, fresh avocado and mint, fresh agave sour with a fennel salt rim. 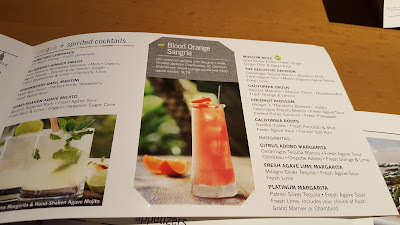 I loved the uniqueness of this cocktail. It was clean, a little tart and so refreshing. The Strawberry Mango Cooler is an elevated version of a strawberry drink with the addition of mango, guava and ginger, yummy. All of the drinks were wonderful for sipping and enjoying with the complimentary crusty bread and dipping oil. 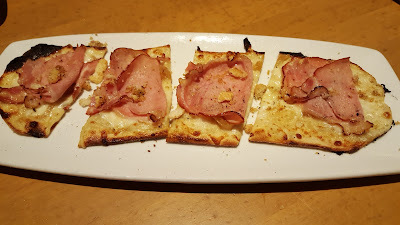 As a starter we decided to try the new Smoked Ham and Swiss Flatbread. Emmentaler and goat cheese with caramelized onions and smashed garlic croutons. The flatbread was crisp and the toppings were loaded with flavor. 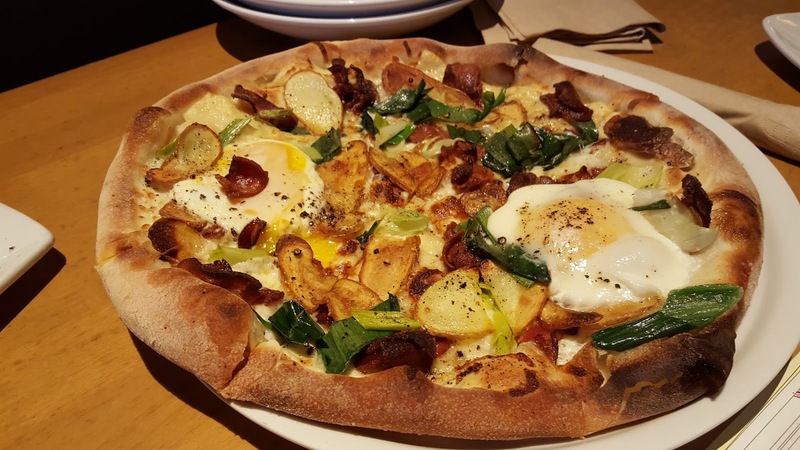 For our entrees we decided to share the new Harvest Kale Salad and The Sunnyside-Up Bacon and Potato Pizza. 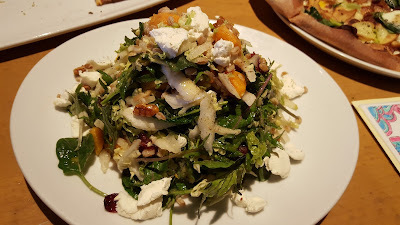 The Harvest Kale Salad includes baby kale, toasted farro, roasted butternut squash, Napa cabbage, shaved pear, marinated cranberries, spiced pecans and creamy goat cheese. A bountiful serving of healthy foods combined to make a delicious salad. Everything melded well together and tasted fresh and light. This was actually our favorite out of everything we tried, aside from the cocktails. The Sunnyside-Up Bacon and Potato Pizza tasted as you would expect, like breakfast. 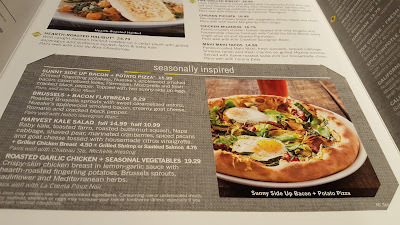 This would be a nice brunch meal with one of CPK's sangria's. 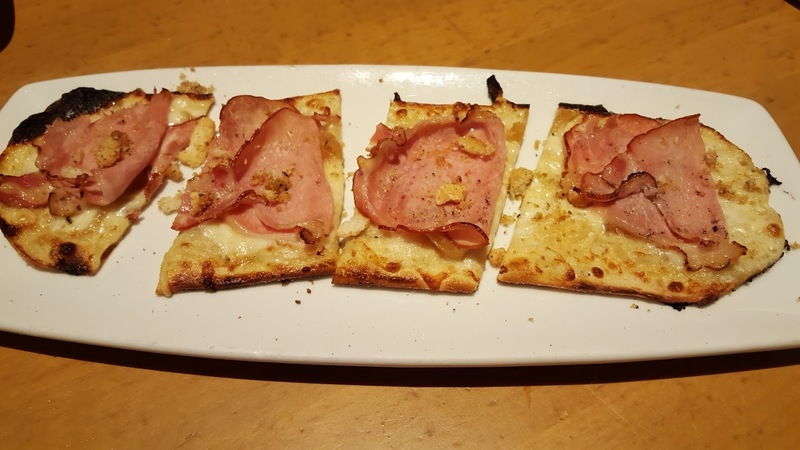 While this wasn't our favorite CPK pizza it was still pretty good. The crust had the usual wood oven taste and the toppings were plentiful. My mom and I were completely stuffed after all this food and we even had leftovers of everything to take home! 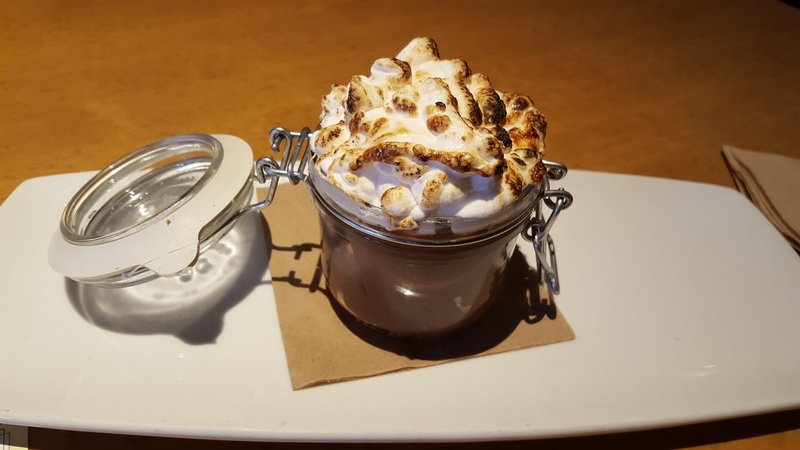 My daughter however couldn't pass up on their newest dessert option, their version of a classic Smores Dessert. This one is definitely for someone with a sweet tooth. Crushed graham cracker crust on the bottom, topped with a decadent kettle cooked Belgian chocolate pudding, dark chocolate chunks and finished off with brulee'd marshmallows. What could make a dessert lover any happier? 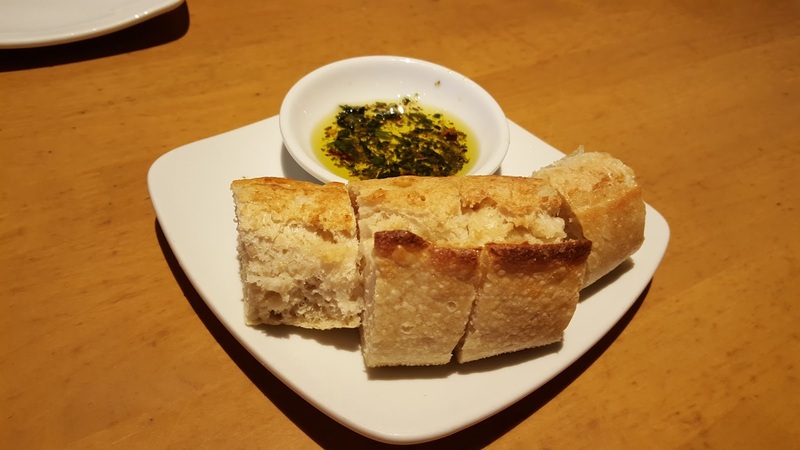 We had a terrific lunch experience learning about end enjoying the newest offerings from CPK. Our servers were super attentive and knowledgeable and the general manager Jose was extremely helpful. I asked him if there was anything else he wanted me to share with all of you and he mentioned their CPKids Parties. Did you know that CPK offers fun parties that allow kids to play chef and make their own pizzas? These parties include a VIP behind-the-counter restaurant tour, a meal and dessert and souvenirs. A CPKids party is reasonably priced and makes party planning super easy for parents. My daughter is having a birthday next month and we are already planning her CPKids party! 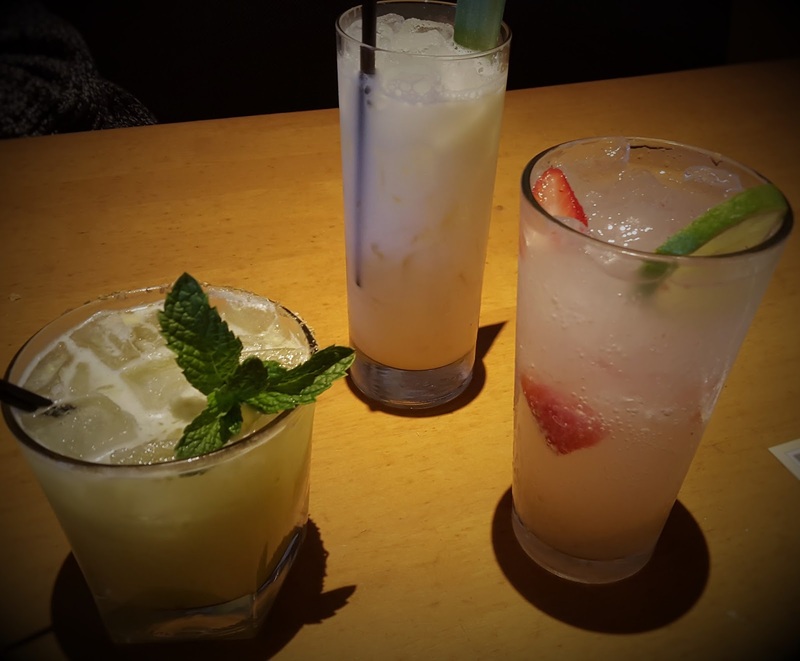 And if learning about all the latest happenings at CPK wasn't enough, they are offering one Girly Girl reader the chance to win a $50 Gift Certificate! To Enter: Leave me a comment telling me where the closest CPK location is to you. You can get extra entries for following GGG through GFC, Subscribing via email, liking us on Facebook and following via Twitter. This giveaway will end on January 15, 2016. I will choose the winner using Random.org. Please leave a valid email address if it is not visible in your profile. US entries only. The closest location to me is at the Garden State Plaza (8.63 Miles). Beverly Center is closes to me. The closest to me is Westfield Garden State in NJ. The Temecula location is closest to me. Thank you for the wonderful giveaway. There isn't a CPK location near me. We usually stop there when I visit the cardiologist in Ann Arbor, Michigan. Follow on GFC as marcia goss. The closest one is in Tustin, CA. The closest is the Chandler Fashion Center. The nearest location to me is Pleasanton. Closest location is Bridgeport village! The closest one to me is in Orem!